Master & Dynamic, of NYC, brings the city’s dreamers, creators and visionaries products that look as good as they sound. With an unrelenting attention to craft and detail, they utilize only the finest materials and are engineered to last, creating the perfect balance of aesthetics, strength, comfort and exceptional sound. As a brand with relatively low awareness, we used the launch of their innovation product: the MW07 true wireless earphone, to launch the brand into a wide consideration set. Delivering on both brand messages and product benefits - premium materials, exceptional sound, comfortable and secure fit, best in class antenna technology and elegant mobility, our job was to create a campaign about sound, designed for the sound off internet. We built a world born from sound. And, because that world needs to feel as limitless as our imagination, it is exclusively computer-generated. The visuals expressed colorway moods, the movements found in music and were as equally transformative as the MW07 sound experience itself. For each of the color-ways launching, we created a unique visual experience to connect them to various soundscapes: rock for Steel Blue, electronic for Terrazzo, R&B for Tortoise and Hip Hop for Matte Black. 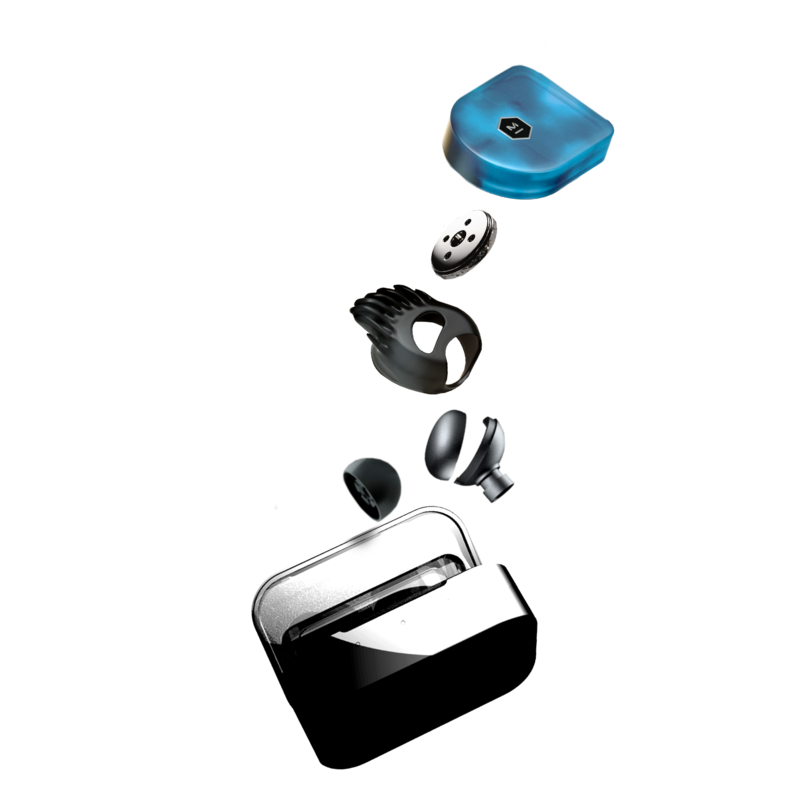 The wireless earphones oat, break apart, and dance to show their premium materials and functional benefits.